Cardholders - get Big One Bath Towels Just $3.49 Shipped! You are here: Home / Great Deals / Kohl’s Cardholders: Big One Bath Towels Just $3.49 Shipped! Kohl’s Cardholders: Big One Bath Towels Just $3.49 Shipped! Head over to Kohls.com for a great deal! 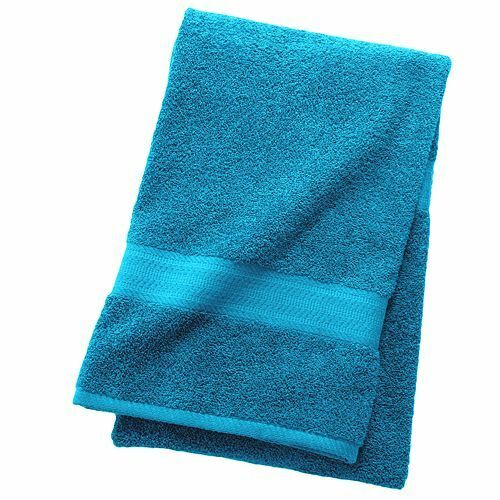 Cardholders – get Big One Bath Towels for Just $3.49 Shipped! Big One Bath Towels are on sale for $4.99 (Reg. $9.99) Enter promo code PUMPKIN30 (for 30% off) and FREE4MVC (for free shipping). Final cost $3.49 shipped! Non-Cardholders, you can get a deal too! Enter the promo code WEBS15 (additional 15% off). Final cost $4.24! Note that shipping is FREE on orders of $75+! You may be able to opt for FREE in-store pickup (if available near you). Thanks, Cuckoo For Coupon Deals! Click here to check out more Great Deals!